I want to preface what I’m about to say by making one thing clear: I love all firearms. Big ones, small ones, common, rare, old, new, whatever. If it goes bang, it holds a special place in my heart. Tthe most special place in my heart is always going to held by the majesty that is the semi-automatic battle rifle, which usually means a semi-auto in .308/7.62×51 NATO, which is just fine for me. Well, I’ve talked before about how much I love the .308 cartridge, and how perfect it is for my needs and the needs of most shooters and hunters. 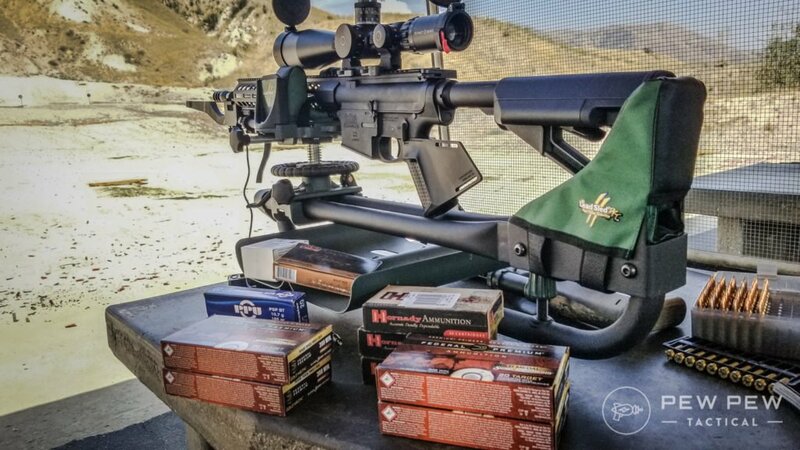 It’s good out to 800 yards no sweat, and good match ammo, while expensive, will probably be more accurate than most shooters. So while I love things like the 6.5 Creedmoor and .224 Valk, good ole .308 is what I’m after most of the time if I’m buying rifle ammo. It’s cheap, available everywhere on the planet, and is available from just about every company that makes ammunition, so there’s no shortage of options from cheap FMJ plinking ammo you can get from a surplus store to precision match ammo at $2.50/round. Let’s talk about some quality examples of these excellent guns, where to buy them, and how to choose the best one for you. 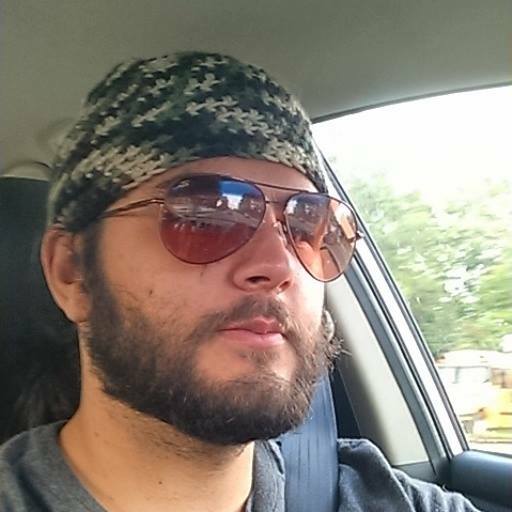 Why a Battle Rifle or Semi-Auto? Listen, I love reaching out to a thousand plus yards as much as anybody. I’ve got my bolt-actions for those rare occasions when I get out to do that kind of thing though. Any semi-auto that can do things at that kind of range is going to be more expensive than most people, me included, can easily afford. Especially when I can get a bolt gun for about half what an equivalent semi-auto would cost. For inside six hundred yards though? A quality semi-auto is just fine. And for inside fifty yards with some kind of dangerous game coming at me? Keep your damn 1800 meter precision bolt gun and give me that AR-10. This winding intro leads us to our topic for today: the best semi-auto rifles in my favorite caliber, the venerable .308 Winchester/7.62x51mm NATO. 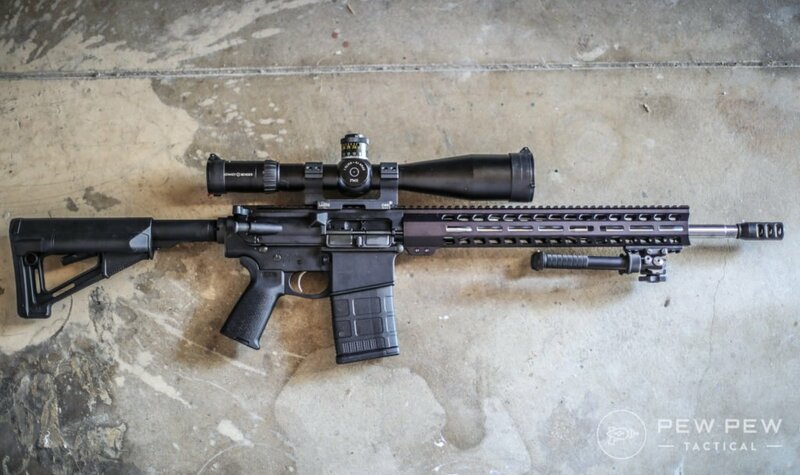 When most experienced gunhands hear the words “.308” and “semi-auto” in the same breath, their mind probably goes to the AR-10, as well it should. The AR-10 is the starting point not only for most modern battle rifles but for most Western semi-auto rifles in general. It would go on to spawn the AR-15 and all of its variants, making it the progenitor of arguably the most popular firearm family in the world. The original AR-10 design field stripped. You can see the obvious similarities between it and later rifles. You can read more about the history of both these rifles in our AR10 vs AR-15 article. Originally developed by Eugene Stoner to replace the aging M1 Garand for the US military, the AR-10 has had a long and successful life, and in that time it has remained in use around the world, though these days mostly in specialized circumstances, or in the hands of civilians. That said, its still an incredibly robust platform, and modern refinements have only made it better. Here are two of the best examples of AR-10s. This is the gold standard for AR-10 for people that don’t have two grand to spend on just a rifle. Coming in somewhere between $1500 and $1800 depending on options, the M5E1 is an excellent choice for those who want a rifle that’s good out of the box, and can be made great with just a few small upgrades. PSA is a budget firearms enthusiasts dream come true. I’m not sure exactly how they do it, but they have everything from ammo to AR-10’s at rock-bottom prices. Best of all, their PSA-branded uppers, lowers, and complete rifles are all very cheap in comparison to the competition but perfectly adequate. Fit and finish is nothing to drool over, but they go bang every time, and they’re more accurate than the price would seem to allow. If you’re looking for an entry model AR-10, or semi-auto .308 in general, the PA-10 from PSA is available in multiple configurations starting at about $600. Full review of the .308 version and 6.5 Creedmoor version. 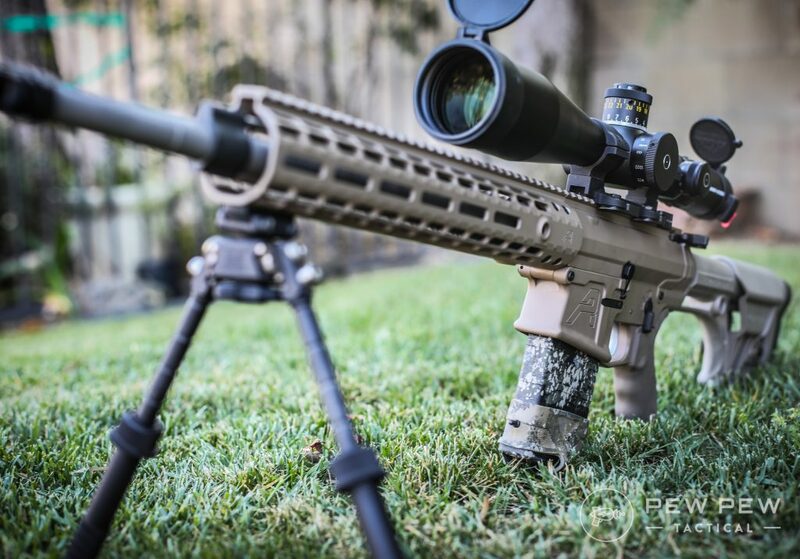 Now, we’ve talked a lot about the AR-10, both here in this article and in our AR-10 Vs. AR-15 and 8 Best AR-10s articles, so make sure to hit those links if you want to know more. Most .308’s out there that aren’t bolt guns are going to be an AR-10 variant of some kind, no matter how they’re dressed up. As far as other semi-auto .308’s, there’s a few we’ve never really covered. I guess now is as good a time as any to do that. Both of the first two rifles on this list are variants of a gun first manufactured over half a century ago, the Heckler and Koch G3, one of the most revered battle rifles ever produced. 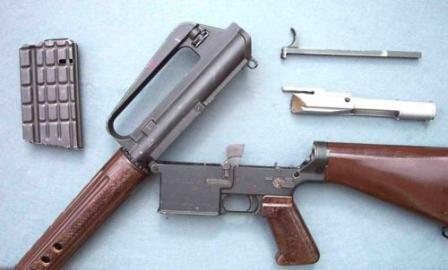 What would go on to become the H&K G3 was first produced in 1958. Primarily designed by German engineers working for the Spanish CETME development group, the CETME-C was a Roller-Delayed 7.62×51 rifle. This legendary rifle would go on to inspire a huge number of similar rifles (and quite a few blatant copies) and to be used by just about every country with a military. There are a number of modern copies of the G3, but the most well-known is definitely the Century Arms C308, which is manufactured by Century using in-house parts as well as some original CETME stock, the last of which was bought out by Century a number of years ago, so when these rifles are all in private hands, you’ll have to go through collectors to get one. Now, you’d think that would make these rifles prohibitively expensive, but you’d be absolutely wrong. The C308 in even its most expensive variant comes in cheaper than all but the most economically-priced AR-10’s. Mine was $625, with shipping. You can get one for about the same price as well. And second best of all, G3/C308/HK91 magazines are DIRT cheap. I mean, really – disgustingly cheap. They are also often times disgustingly dirty…the last batch I bought I had to soak in soapy water for a half-hour before scrubbing them clean. If you want to scrub clean your own surplus mags, you can get them for as low as $3 a magazine. Or you can get clean, good condition, German surplus magazines from Brownells for $5 or less per mag. I choose Brownells, now. Buyer beware though: this is a battle rifle. It’s got a stamped and welded receiver just like an AK, the trigger does double duty as a medieval torture device, and it’s only slightly more accurate than just picking the rounds up and throwing them. You can get trigger upgrades and with good ammo the rifle likes, I’m comfortable calling it 2-3 MOA gun (but don’t expect much more than that). Of course, you’re paying for a piece of history, and a rough-and-ready piece at that, so don’t discount the C308. The PTR 91 is an American-made G3 clone that uses tooling references from the original H&K G3 to be as accurate as possible to that original design, but with all the advancements and improvements of a modern manufacturing complex. The overall fit and finish are significantly improved over the C308, but the price goes up accordingly. The PTR 91 is about $400 more than the C308. It also features the iconic H&K diopter sights (the little rotating drum you probably recognize most from the MP5) and unlike the C308, a standard 5/28 threaded barrel making it ready for suppressors out of the box. Finally, you still have an absolutely atrocious trigger, but the rifle is overall more accurate than the C308. I’d be comfortable calling this a 2 MOA gun with mid-range ammo. To get better than that, you’ll probably want to invest in an aftermarket trigger if you can find one, or purchase one of PTR’s upgraded models. For a battle rifle that’ll handle anything, it’s certainly not bad at all, and I’d feel good about having one to rely on in anything from home invasion to an alien invasion. FNH developed the Fusil Automatique Léger (Light Automatic Rifle) and would go on to be a competitor to the M14 (which we’ll get to in a minute) and the AR-10. During the Cold War, it was adopted by many NATO countries as their primary battle rifle, which is where it got the nickname “the right arm of the free world”. It uses a fantastic short-stroke, spring-assisted piston action that was very modern at the time, and is still relevant today, allowing the FAL to stand shoulder-to-shoulder with much newer firearms. The FAL is one of the most battle-tested rifles on the planet, and the trigger is considerably better (usually) than most of the G3 options out there, and is going to be a little more accurate to boot. Reliability is a toss-up between the two and will depend on which variant you go with. Personally, I love the FAL, and it’s one of those guns I think anyone looking to build a serious gun collection should have. For me, it sits slightly above the AK and slightly below the AR-10/15 in the pantheon of shoulderable small arms. Of course, if you want one, you’ll have to talk to an importer and get a civilian one. For that, I recommend DS Arms and their SA58. DS Arms is one of very few companies producing parts and accessories for the FAL. The SA58 is a solid recreation of the FAL, side-folding stock included, and it holds its own with the other non-AR .308’s we’ve talked about thus far in the accuracy department. I’d even say that’s it’s probably the top of the heap in terms of accuracy and reliability of what we’ve gone over so far. Well, you could maybe ask for a Springfield Armory M1A. This is the civilian version of the absolutely legendary M14, aka the rifle that trounced the AR-10 and the FN FAL for the US Army’s main battle rifle back in 1959 (the AR-10 would get the win in the long run in the form of the M16, but I digress). The M14 is, of course, a fully automatic military rifle, but the Springfield M1A is a semi-automatic, civilian version sold by Springfield Armory in a variety of configurations. You can get everything from short-barreled carbine versions on up to 20” barreled sniper configurations designed to get as much accuracy as possible out of the gun. And the gun has plenty of accuracy to give. This is easily one of the most accurate firearms on this list, and for the price, one of the best .308 rifles on the market in terms of precision and dependability. I own one in 6.5 Creedmoor and I couldn’t be happier, but holy moly do I want a .308 version. I can’t quite justify the price when I have the ostensibly better-performing 6.5 Creedmoor version though, so this is one of those “if I win the lottery” guns for me. That said, the .308 version is just as hardy and reliable as my 6.5 version, if not more so, and it is a frequent sight on the field of competition. 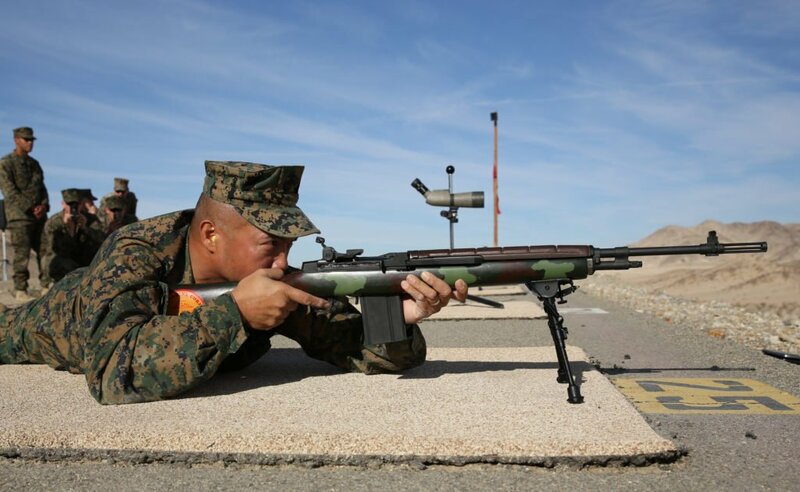 The M14 version is still used in a mostly honorary capacity by the US military, with one or two exceptions, one especially notable one being its use by a number of competitive rifle teams from various branches. I think that says a lot for the ole girl. The M1A version is just as accurate, and with the number of accessories out there for it, it can be as accurate as you want it to be, though it can get pretty expensive, especially if you factor in the cost of a scope that will let you get the most out of it. We’ve already given a spot on this list to the FN FAL, but I’d be remiss if I left out one of the most popular modern, .308 battle rifles around. 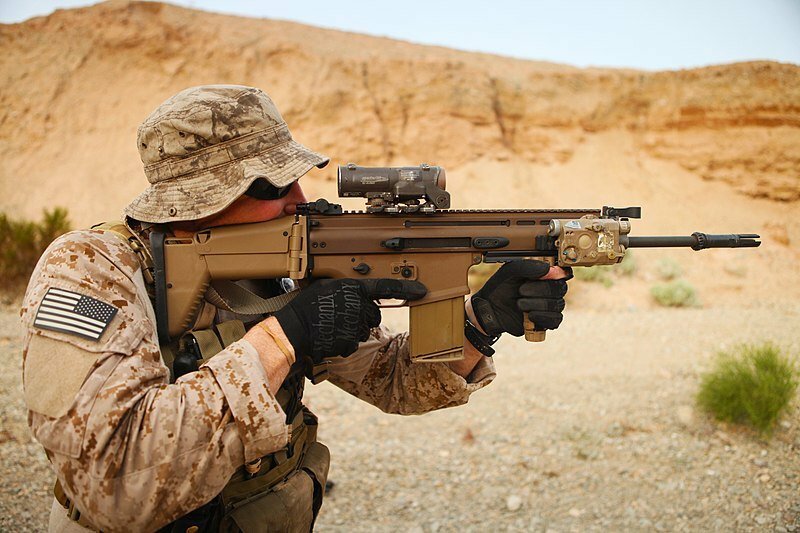 The FN SCAR-H is a 7.62x51mm monster of a gun designed to be as modular as possible and to serve a variety of uses, from the CQB weapon of choice for various door-kickers and SF units to a scout sniper and sniper support platform, depending on how the weapon is configured. A SCAR-H is a fully-automatic battle rifle capable of laying down 600 rounds a minute, while also reaching out to the utmost limits the .308 cartridge is capable of. Meanwhile, the SCAR-17S is the civilian version that goes bang as fast as your trigger finger can manage to go back and forth, and that’s plenty fast enough for me. This is as solid of a rifle as you can get. The civilian version ships with a 16.5-inch barrel, but it can be swapped out after removing just a few screws, and you can slot in any number of aftermarket barrels, from 13 to 20 inches, depending on your needs. It uses a modern version of the short-stroke piston FN developed for the FAL, and it is currently in service in 24 countries around the world in one capacity or another. For the civilian shooter like you and me, we get something that’s as battle-tested as any rifle can be, and is as close to military spec (aside from a notable lack of select-fire capability) as we can get. The trigger is…not perfect, but certainly better than the FAL, and there’s a huge amount of aftermarket trigger options out there if you’re going to slap a 20” barrel on there and reach out to 800 yards or more with any accuracy. All in all, its one of the best modern battle rifles out there, and is pretty perfect if you’re looking for a heavy duty semi-auto for hunting dangerous game like hogs or bear. The price is a bit high, but hey. What’s your take on the SCAR? That’s all she wrote for this one folks. Well, all I wrote. Not that I’m a she or anything. It’s just an expression, okay? Anyway, I hope you enjoyed this look at some of the awesome semi-automatic .308 battle rifles that are out there. I certainly enjoyed writing it. I hope some of this was helpful, and if you haven’t found your next purchase, I hope you at least learned something. What do you think of these rifles? Which one is your favorite? Thinking about getting one? Got your favorite semi in .308…now feed it properly with Best .308 Ammo for Target Shooting, Plinking, & Hunting. Check out the IWI Tavor 7. Same amazing amazing traits as the other Tavors, but chambered in 7.62X51mm. Feels awesome to shoot, especially suppressed.